So, as it turns out, the French have been right all along! 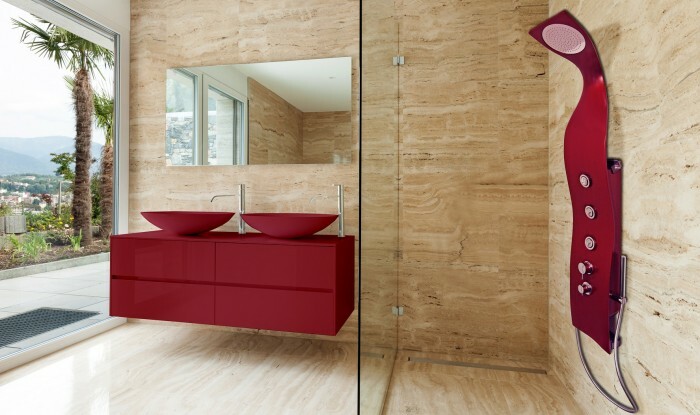 The door-less shower concept is one that has been very much present in the French bathroom for decades now. And it just so happens, that in recent years it’s become one of the most sought our bathroom/shower designs on a worldwide scale. A door-less shower opens up space in your bathroom unlike any other trick in the book. They’re also a perfectly easy and universal design, that will age perfectly with any house. While the door-less shower nowadays may be a little posher than what the old school 80’s French ones were, they still need careful planning! Here are six ideas you should keep in mind if you’re thinking about approaching the door-less shower in your home. Ideally, if you’re going to install an open shower, you need at least a 6-foot buffer zone on each side, so you can avoid flooding your entire bathroom! The last thing you want is water running out the door while you’re washing your hair. Building a halfway wall is a great way to divide the shower from the vanity, and save you from splashing water everywhere. 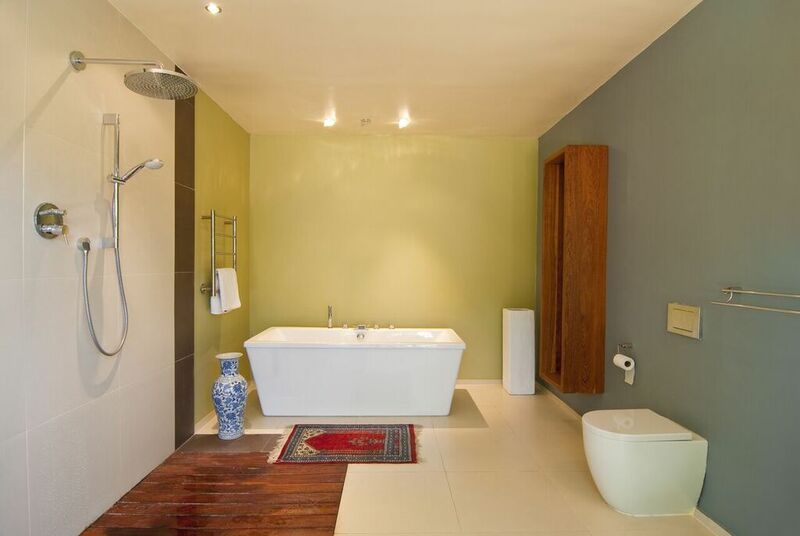 If it’s at all possible, place your door-less shower in a corner that faces away from all the other bathroom zones. This will help you from spraying water into the areas you don’t want water, and will also give you the slightest bit of privacy when in the shower. Although, you need to be prepared to not have a ton of privacy when having a door-less shower. There's no getting around this one, and open shower is going to get a little drafty, especially in the winter. 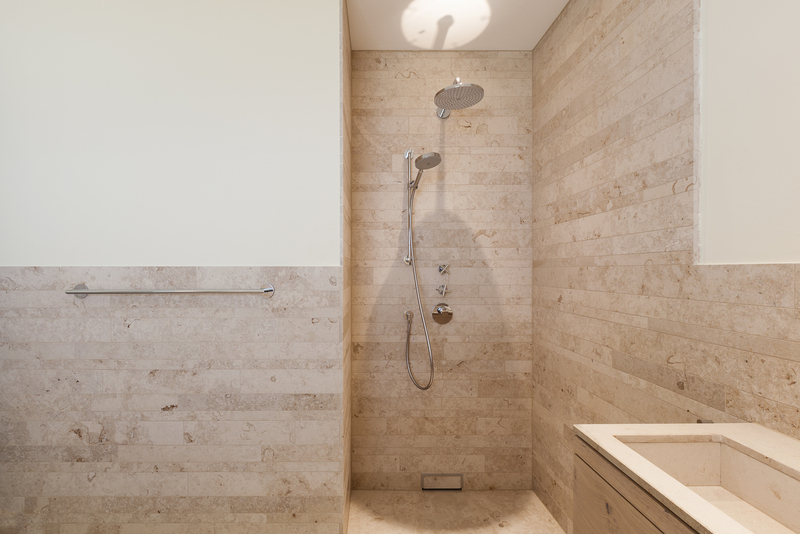 Consider installing a radiant heat bathroom floor and a heat lamp to help with the chills. By installing one of these heated towel racks close to the shower will help to keep you toasty in colder months. 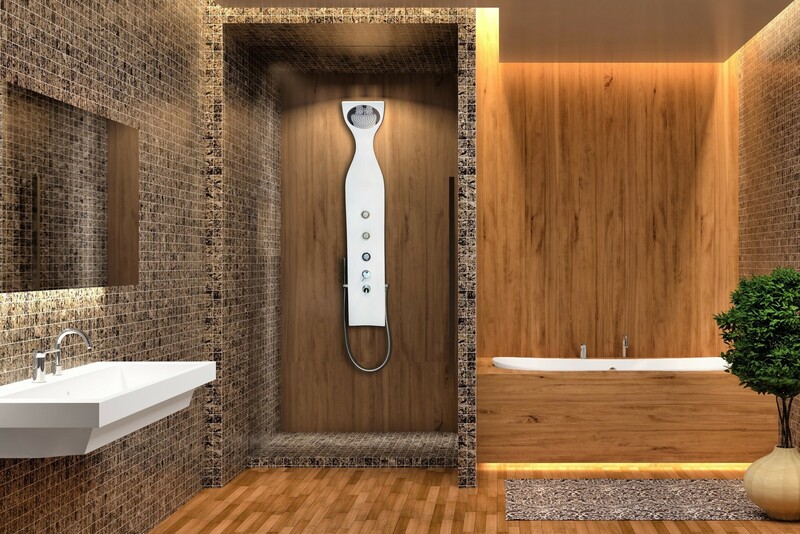 Unless you plan on having a pretty large buffer zone in your door-less shower, a standard shower head will probably end up soaking the entire bathroom. Consider getting a shower head that has rain mode to it. These rain style shower heads will cast the water straight down, making it less likely to spray out of your desired area. Not only will a proper drainage system assist in guarding you from standing water, but it will also stop you from slipping on wet floors. You’re going to want to angle the floor slightly, this will help the water flow toward the drain. If you’re worried about water drainage, you can always install a second drain for double effectiveness. 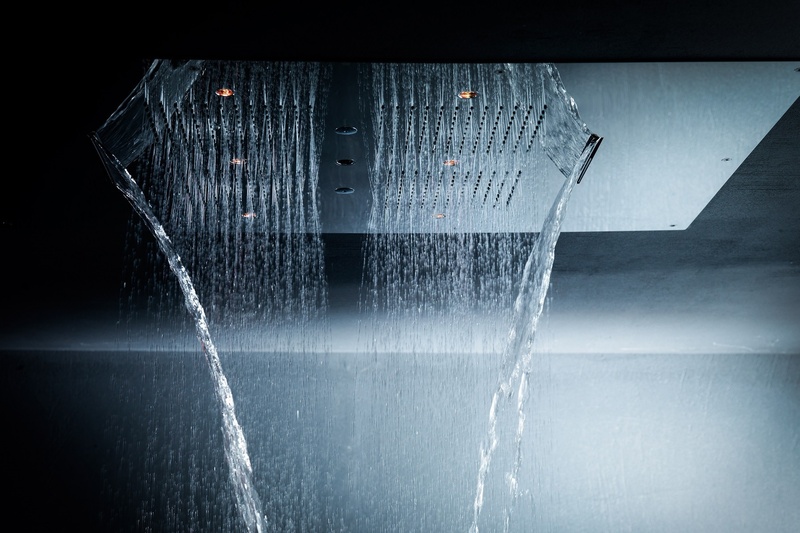 No matter how much attention you put into your open shower design, steam and splashes will escape. A good solution to avoiding mildew and mold build up, is to make you outfit your bathroom with surfaces that hold against moisture. 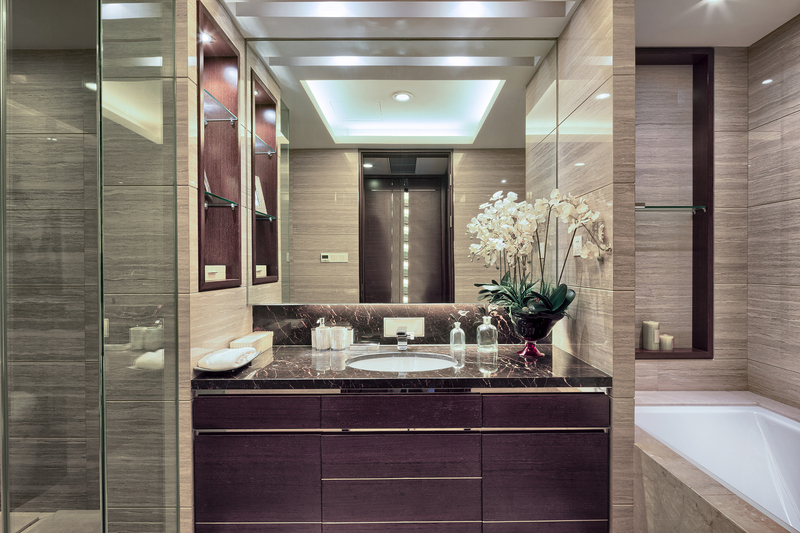 Opt for glass tile, metal, stone or faux stone and avoid any fabrics or materials that are prone to picking up mildew.